The 2019 CicLAvia – Culver City Meets Mar Vista + Palms event is being held this coming, Sunday, March 3, 2019, in City of Culver City and the adjacent Mar Vista and Palms areas of the City of Los Angeles. Road closures will begin as early as 6:00am and extend to as late as 6:00pm. 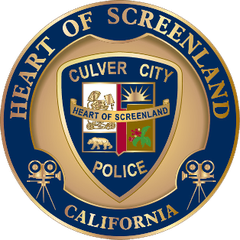 The Culver City Police Department will begin removing vehicles from the event course at 6:00am. Traffic closures in Culver City will include Culver Boulevard in the downtown Culver City area and Washington Boulevard from McManus Avenue to Wade St (see attached CicLAvia course map for further information). Culver Boulevard will be closed to all vehicle traffic from Venice Boulevard to Duquesne Avenue. All streets perpendicular to Culver Boulevard will be required to exit south onto Braddock Drive or north onto Venice Boulevard. Washington Boulevard will be closed to all vehicle traffic from McManus Avenue to Wade Street. All streets perpendicular to Washington Boulevard will be required to exit south onto Jacob Street, Lucerne Avenue, Braddock Drive, or Culver Boulevard, or exit north onto Venice Boulevard, Washington Place or Herbert Street. Landmark Street will be closed at Washington Boulevard, but will be accessible from Carson Street. There will be managed vehicle crossing points on Washington Boulevard at National Boulevard, Duquesne Avenue, Overland Avenue, Sepulveda Boulevard, Sawtelle Boulevard and Inglewood Boulevard. There will be no vehicle crossing point at Washington Boulevard and Centinela Avenue. We encourage all motorist and other motorized vehicle users to use alternate routes around the closed course, as there will likely be extended delays at all of the above crossing points. The public is also encouraged to use the public parking at the Watseka, Cardiff and Ince parking structures, which are accessible from Venice Boulevard. Parking in the residential areas surrounding the event is restricted in many places and vehicles illegally parked in these areas will be subject to citation and/or impound.